The Army Corp of Engineers will not immediately grant the Dakota Access Pipeline the right to cross the Missouri River next to the Standing Rock Sioux Reservation, officials said Sunday. The National Congress of American Indians, which has been leading, the protests against the controversial pipeline’s plans in the Dakotas, praised the move in a statement. “Today the Army Corp of Engineers announced its decision not to grant the easement to the Dakota Access Pipeline crossing the Missouri immediately above the Standing Rock Sioux Reservation, and to study alternate routes,” the statement said. The U.S. Army confirmed in a statement Sunday afternoon that it will not grant an easement for the pipeline. “The Department of the Army will not approve an easement that would allow the proposed Dakota Access Pipeline to cross under Lake Oahe in North Dakota,” the Army said. News about the development first appeared on social media. 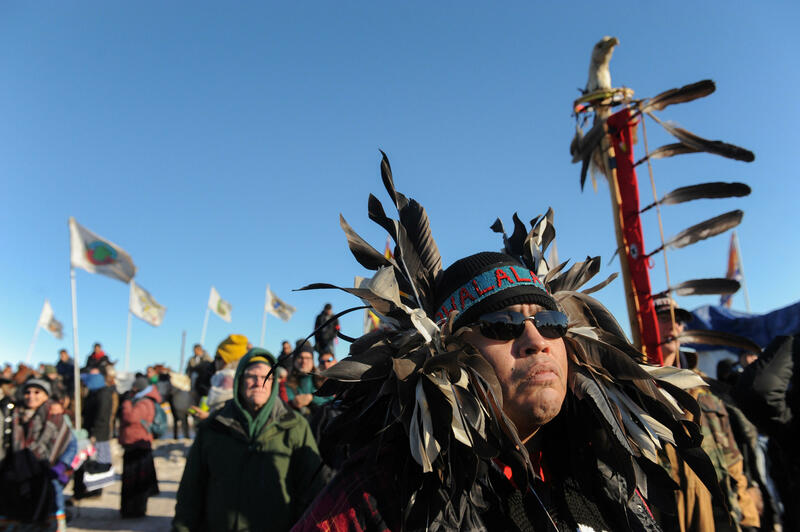 A video posted on Facebook showed a man identified as Remi Baldeagle saying the secretary of the Army had denied the Dakota Access pipeline easement. “I can’t tell you how happy I am,” he said in the video clip. Hundreds of demonstrators near the Dakota Access pipeline protest camp broke into cheers and chanted “water is life” in the Lakota Sioux language as news spread. Carla Youngbear of the Meskwaki Potawatomi tribe traveled from central Kansas to be at the protest site. She said she has grandchildren and is going to have great-grandchildren who will need water and that’s why she was there. The easement marks a stunning victory for pipeline protesters, who for weeks have gathered at an encampment in southern North Dakota. The Standing Rock Sioux tribe and others who have joined them wanted changes made to the route of the pipeline, which is largely complete except for a short segment underneath a Missouri River reservoir. They said the pipeline could pollute drinking water and threatens sacred sites. Morton County Sheriff Kyle Kirchmeier released a statement on the decision Sunday. Dallas-based Energy Transfer Partners previously said it was unwilling to reroute the project. Earlier on Sunday, tribal elders had asked the military veterans joining the large Dakota Access pipeline protest encampment not to have confrontations with law enforcement officials, an organizer with Veterans Stand for Standing Rock said. The organizer added that the group was there to help out those who have dug in against the four-state, $3.8 billion project. Veterans Stand for Standing Rock’s GoFundMe.com page had raised more than $1 million of its $1.2 million goal by Sunday - money that was due to go toward food, transportation and supplies. Cars waiting to get into the camp Sunday afternoon were backed up for more than a half-mile.